Content marketing is an integral part of your digital marketing strategy. In 2017, we saw extensive adoption of content based promotion across all industries. In 2018, the practice will continue to thrive even more; especially in small and medium sized businesses. Content marketing offers better engagement, better conversions, and usually cost less than other forms of marketing. Besides, with a constantly increasing number of ad-blocker software users across the globe, content marketing becomes the only way to get a message through with assurance. So, this year too, brands will need to focus more on content marketing. The following 9 content marketing trends will help you reap the maximum benefits out of your content marketing strategy in 2018-19. The number of online users is increasing constantly, so too does content consumption. This has made businesses think that producing more content is the right way to get into limelight through content marketing. In fact, 70% of B2B marketers plan to create more content in 2017 compared to last year. However, that’s only the half solution. Over the years, Google search algorithms have become better at deciding the relevancy of content. And now search bots are smarter than ever in detecting whether a piece of content is user-friendly or not. Also, relevancy is the prime factor that triggers engagement, which is one of the main reasons why content marketing is done in the first place. 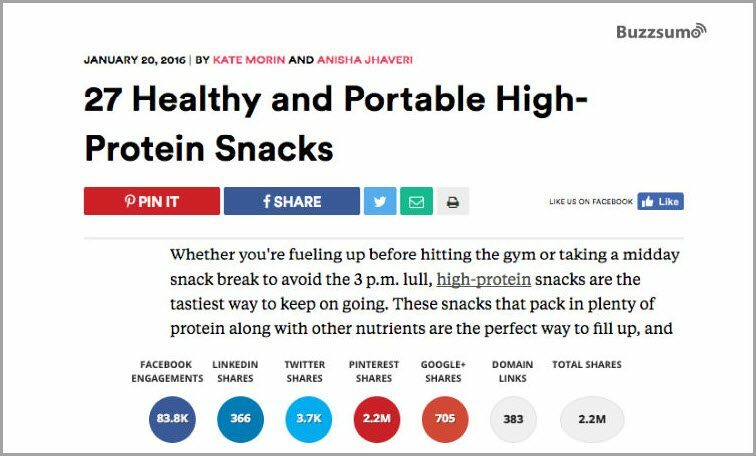 A post shared by Greatist on healthy protein snacks received about 90K shares on Facebook and over 2 million Pinterest shares; all because it was of some value to the target readers. And because of its relevance, now it also appears on the top of search results when you search for ‘protein snack’, ‘healthy protein snack’, and other related terms. So, when you put efforts into creating more content this year, make it relevant at any cost despite the huge volumes that you plan to produce. Companies have always relied on influencing individuals to increase their brand awareness (hint: celebrity endorsement). However, with the rise of social media in recent years and an increasing number of influencing individuals on these platforms, today, influencer marketing has grabbed the top position in the checklist of marketers. According to MuseFind, 92% of customers trust influencers more than advertisements and celebrity endorsements. In recent time, there have been many campaigns that prove how beneficial influencer marketing can be for a brand; however, the lesson 2016 has taught us is that influencer marketing revolves around trust, and a bigger following doesn’t always bring the better results. As a result, brands are focusing more on the authenticity of the social influencers, rather than number of followers. According to a New York based fashion store Gigi New York, working with micro-influencers (with small but authentic followings) brought them better engagement than working with popular social influencers. So, paying heed to micro-influencers will be critical when you formulate an influencer marketing campaign this year. Today, most companies are using analytics for customer segmentation in order to target specific customer groups in a better way. 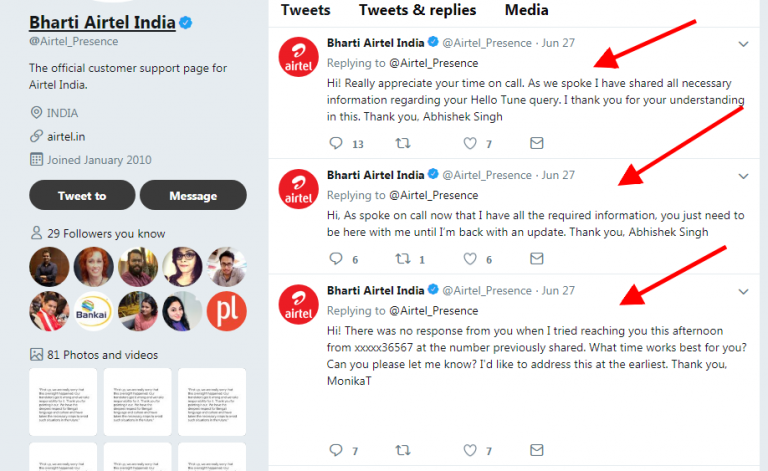 How Airtel India is helping his customers on Twitter is a great example of devising a content marketing strategy around certain audiences. All social networks have a distinct structure when it comes to content sharing and promotion. Most of them let you personalize content either with location settings or hashtags. Based on the channel you choose for marketing, make the best use of such features. 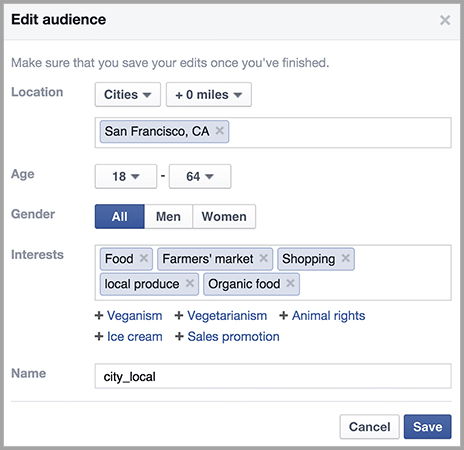 How Facebook selects content for its ‘Trending Section’ based on location is a good example of personalizing content for a specific customer segment. If you own a Facebook page and have promoted your updates in the past, then you must have seen how it allows you to target your content to a very specific group of people. Creating and promoting personalized content in this manner make a content marketing campaign focused, and win more prospects for its high relevancy. This in turn improves engagement, brand recall, and sets you apart from competitors. Video content is no new concept, as brands have been using videos as their website banner, in social media updates, email content, etc. for quite some time. And now with better video compression algorithms in place (and at the same time, with the internet’s growing penetration), videos are being used extensively to send across a brand message, promote offerings, or simply for the purpose of engagement. There are plenty of online and offline tools for video marketing to create and share professional-looking and engaging videos. Use such tools for creating a good number of videos in less time. While tools can help you in creating videos, engagement can only be built around ideas. For that, you would need to draw inspiration from how other popular brands are running their video marketing campaigns. While there are a lot of ways to interact with consumers, virtual reality is a booming trend in the world of interactive visual content. Virtual Reality is a new way to interact with your customer through visual content. It offers a new opportunity to content marketers and increases customer engagement with your brand. 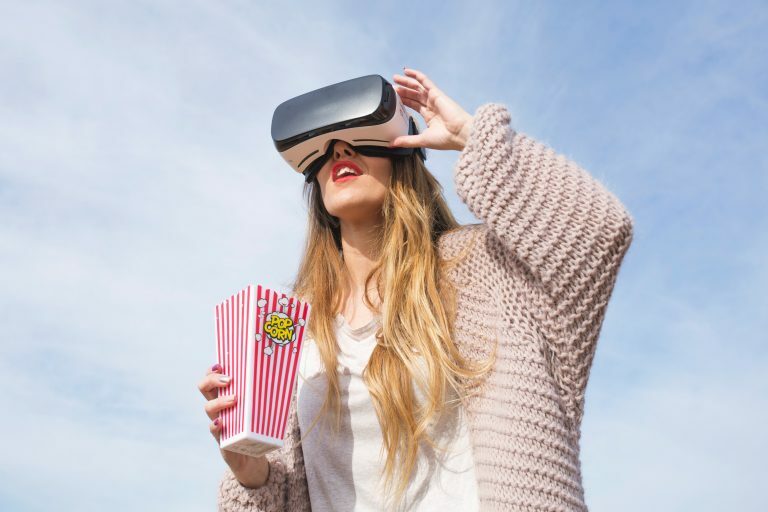 While one brand uses VR to help shoppers make the final decision, another uses it to engage the clients in the initial steps. Since a few years back, the digital world has taken note of live videos and since then it has intensified. Here are some stats which will prove the growing importance of live video in the online world. 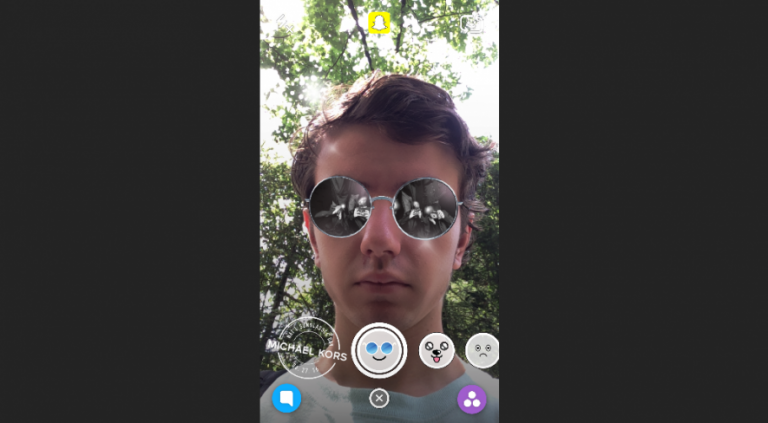 Live videos add an element of fun to an already interactive form of communication. The nature of live video is raw without edits which creates an intimate communication with your audience. To use live videos to engage your audience you could host Q&A sessions, live interviews, conduct product demonstrations or unboxing, cover events and conferences, etc. Social media giant Facebook recently faced a series of lawsuits for showing fake news in its trending section. Many are of the opinion that the Facebook’s manipulated trending section also impacted the outcome of the recent presidential election. All this is happening because people are increasingly relying on social networks as a source of news. A survey done in early 2016 states that already more than 50% of social media users use it as source of news. As per Statista, 61% of digital marketers rely on Facebook to advertise monthly. Social media has evolved as a popular content marketing channel in the last few years. Facebook and Twitter are already being extensively used for content marketing. Growth of video marketing in recent time also puts Instagram among the most popular content marketing social media channels. It’s your time to leverage the power of these channels to deliver news. Make sure everything that is talked about your brand in the future gets covered through social media too. And, especially the paid and earned coverage that you get from third party reviewers and sites should be shared on social too. Brands are now harnessing the power of IOT to provide an authentic brand experience to customers. When you hear about the Internet of Things, the first thing that comes to mind is Alexa, Siri and Google Home. With the aim of taking direct conversations to another level, IOT has given a great opportunity to brands to become an integral part of a consumer’s lives. Organizations are now using Alexa to share content with a much wider audience who do not want to be hooked on a device. There is an immense amount of content which is being produced by different brands; the important thing is to produce content which will stand out from the rest. Narrow your content focus and it will more likely gain traction. Creating super niche content is a result of market saturation. Marketers are creating more and more content every day. According to a recent stat by Kapost, 70% of marketers said they are creating significantly more content than the previous year. A simple technique for doing so is, instead of writing social media video marketing tips, write video marketing guide for beginners. Data indicates that effective content marketing can increase online store conversation rates by almost 6 times. How do you grow your business by using this trend? Start by identifying the super-niche of your industry. For instance, if everyone in your industry is discussing travelling, you can find a topic where you can write about travelling for those who have retired. The social media world has changed massively with the trend of ephemeral marketing. First founded by Snapchat and later adopted by every social media channel. Ephemeral content lasts for 24 hours. This drives the customers to the content as it triggers the FOMO effect (Fear Of Missing Out). Use ephemeral marketing appropriately for your business. Run a campaign, showcase behind the scenes, give discounts or offers, and engage your customers to your brand by using ephemeral content. Year by year, new content marketing trends come to the surface and with that changes everything you planned a little while ago. That leaves businesses with several questions – like what new type of content, channels, and tools the recent technological advancements will introduce? And, creating a frictionless path that allows users to move toward that solution.